Lately I've been in a reading rut. Don't get me wrong-- I'm still reading. I read at work on my breaks, but I gravitate towards a very specific literature while at work: humor. I like a quick laugh during my busy, fast-paced days to take the edge off. Tina Fey's Bossypants introduced me to just the right kind of escapism I needed. I savored her memoir, stretching it out over increments for weeks. When that came to an end, I picked up Chelsea Handler's My Horizontal Life, and though it's a coarser, more sexually-driven memoir, it still gives me a good laugh. Next on my list is David Sedaris' Naked. But like I said, those are my work reads; I've been avoiding reading on my days off. Every now and then I hit these reading dry-spells, usually after reading a series consecutively or after a really dense text. So I'm not gonna force it, and I'm just keeping the books on my Summer Reading List shelved for now. However, that doesn't mean I've strayed from my bookish ways. After losing a few hours of my life on Pinterest the other night, I was feeling crafty. Tired of being a spectator, I wanted to to participate. My favorite board is my Because I'm a Bookworm board, and after adding a few new pins and drooling over the old ones, I felt inspired. So, I dug into my ridiculously large scrap-booking hoard and got crafting. I made the shorter two first. They were cute, but I wanted my next two to have some height. Action shot! bahaha. Yes, you read that correctly; it's directions on how to ride an ostrich. 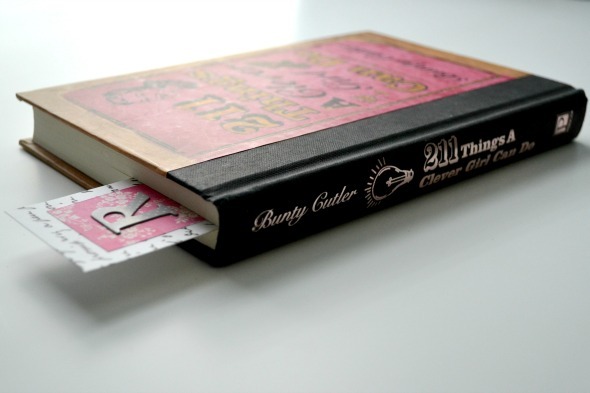 You can peep the directions in Bunty Cutler's 211 Things a Clever Girl Can Do. A hilarious and educational read. There you have them. My new bookmarks. I figured it was high time I started using real ones. 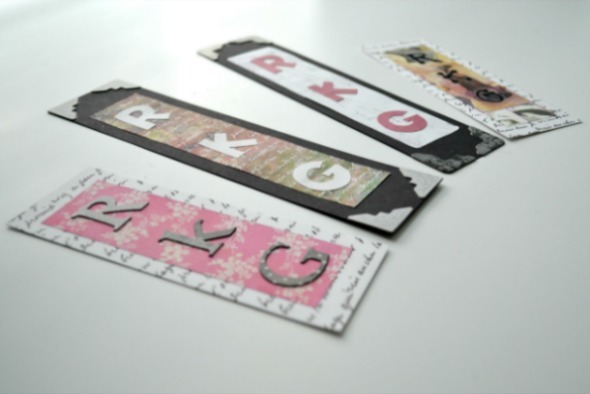 I always use paper scraps like shopping lists, junk mail, and napkins. 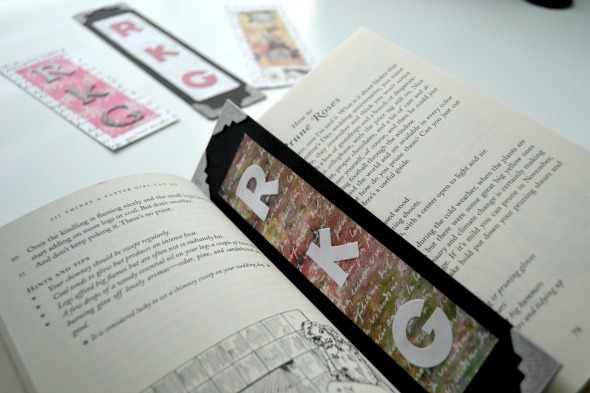 I avoided putting too much detail into my new bookmarks as I don't trust myself not to lose them, and I don't want to cry over lost hours of creative genius. 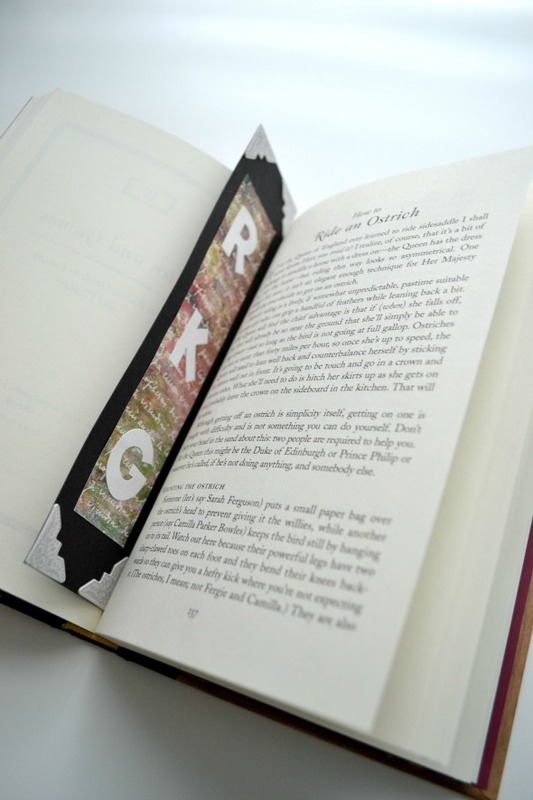 I'm also a believer in "less is more" when it comes to bookmarks. My mother used to buy me really beautiful, elaborate ones as gifts, but I would quickly become annoyed by the ribbons or the indents left in the book's interior from ornate embellishments pressing into the pages. I forgot how fun it is to play with scissors, paper, and glue. I was riding a nice little crafting high afterwards [don't worry, the glue was non-toxic Elmer's, haha], and I couldn't help but beam with pride at my new bookmarks. 'Funny how something small and simple can be so invigorating.